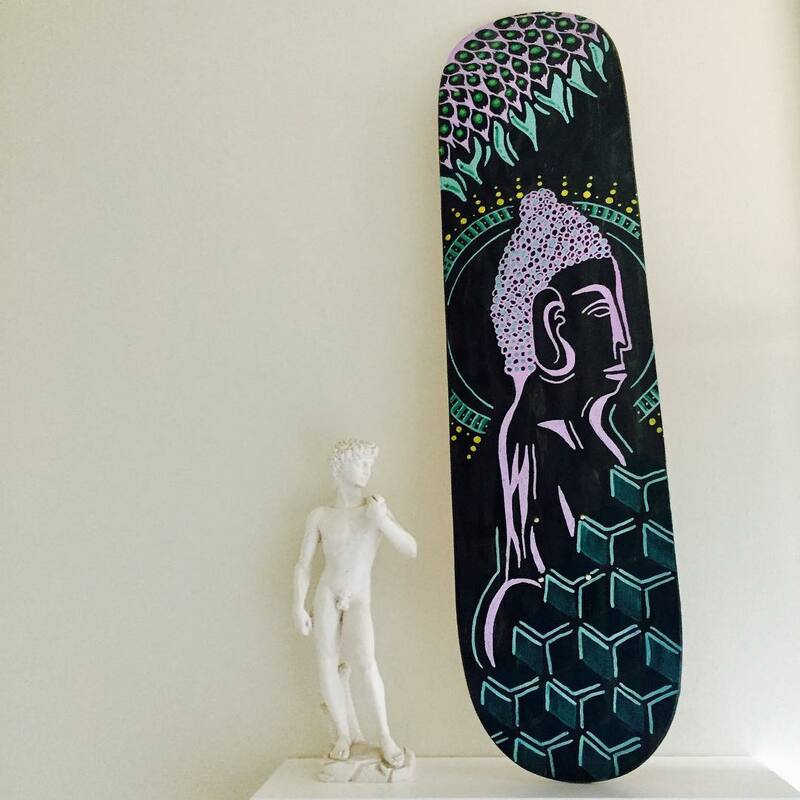 Original painting on skateboard deck. The term Buddha means enlightened one. I’m enlightened by the beautiful world that surrounds us.